The Seattle City Council voted Monday to oppose the Keystone XL Pipeline and seek to avoid contracting with banks backing the project. The Seattle City Council voted unanimously Monday to oppose the Keystone XL Pipeline that the Trump administration signed off on last month and to request that the city’s finance department explore how it might avoid contracting with banks backing the $8 billion project. The Trump administration’s move reversed the Obama administration’s rejection of the pipeline, which would carry about 800,000 barrels of oil per day from Alberta, Canada, through several American states to the Gulf Coast of Texas and Louisiana. The Keystone XL wouldn’t pass anywhere near Seattle, but anti-pipeline activists in the city and elsewhere say the project would contribute to devastating climate change. Monday’s move — passage of a resolution sponsored by Councilmember Kshama Sawant — followed an earlier win for activists: The council in February passed legislation requesting that Mayor Ed Murray not renew a contract with Wells Fargo because of the bank’s role as a lender for the Dakota Access Pipeline project. The Keystone XL resolution says a number of banks — Wells Fargo, JPMorgan Chase, Citibank, Bank of Montreal, Scotia Bank, ATB Financial, Bank of Tokyo, Barclays, Credit Suisse, HSBC, National Bank, Royal Bank of Canada, TD Bank, Credit Agricole, Desjardins, Deutsche Bank, Mizuho and Sumimoto Mitsui Banking Corporation — have provided financial services to pipeline builder TransCanada. When Sawant first sought a vote on a Keystone XL bill last week, some council members expressed anxiety about Seattle leaving itself with too few banking options. The city is waiting until its existing contract with Wells Fargo runs out at the end of next year rather than severing ties with the bank immediately. In an email to council members last week, Murray’s director of operations warned that the pool of bidders to do Seattle’s banking has been very small in the past. He said the resolution could scare away even banks not involved with the Keystone XL. And he said the city needs a banking contract in place to deposit taxpayer money, make payments to vendors and pay city employees. But the resolution won approval with an 8-0 vote Monday after some slight alterations. 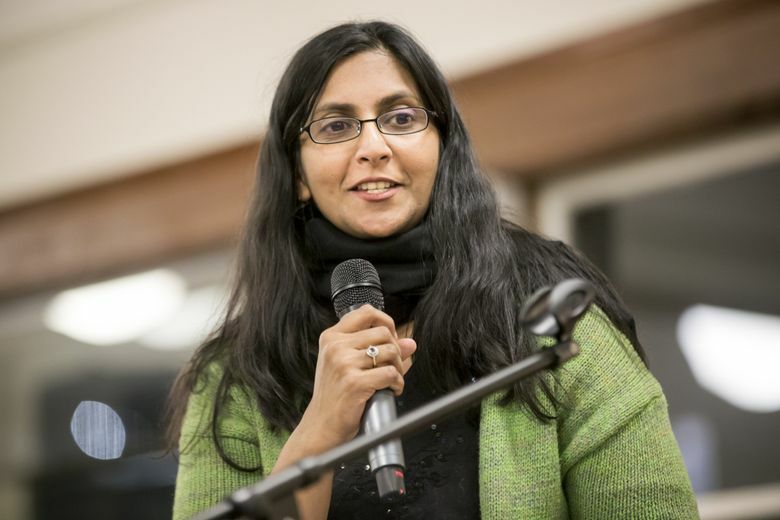 Sawant and Councilmember Mike O’Brien have talked about Seattle doing business with smaller, local banks, credit unions and maybe even a city-run bank.